What happens when you fall asleep? Why do we need sleep? And what are dreams? 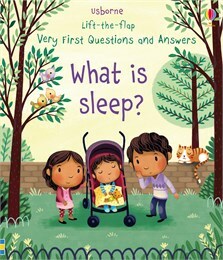 Curious little children can lift over 30 flaps to find the answers to these questions and many more in this delightful introduction to sleep, with simple explanations and gorgeous illustrations on every page.